Big happenings going on at the Hall of Fame today! 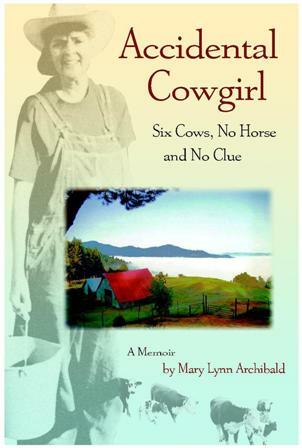 Mary Lynn Archibald is dropping in with her book Accidental Cowgirl: Six Cows, No Horse and No Clue on her WOW! Blog Book tour. New challenges can actually keep you youthful, but I was unaware of that when my husband and I found ourselves living on 120 acres of amazing steep land in a remote forest in Trinity County, California, trying to raise cattle. Actually when we saw a gorgeous meadow with pretty white and caramel colored cows meandering through, it never occurred to us somehow what was involved in keeping it that way. What we saw was a magnificent view, acres of streams, two burbling streams (with waterfalls) and a lovely two acre pond in which we would swim and laze on all the wonderful relaxed days we intended to spend at our wonderful country retreat. Little did we know that we were poised to enter a whole new, strange and wonderful period of our lives, and an almost mystical connection with the land. Twin Creeks Ranch. Our own private Shangri-La. It turned out that the cows we had seen went with the place. Who knew? Indeed, who knew anything about cows? Not these two fifty-something suburbanites. The whole experience was so unique and fascinating that I faithfully kept a journal the whole time we were there. I knew nobody would believe me otherwise. We soldiered on for twelve years at the ranch, doing the best we knew how (which wasn’t much) for a herd of cows we grew to love; a herd that grew from six to nearly thirty. I should mention that these were beef cattle, so the object is to raise them and then to sell them-something we found difficult to do. Ours were Polled Herefords, which most any rancher will tell you, have the sweetest nature of any cow there is. They were sweet. We named every one: Peaches, Paco, Pansy, Curly, Hortense, Hamburger, and so on. That turned out to be a mistake as you can imagine. They became our largest pets and our biggest worry. And then there were few other things to worry about: the flower garden; the orchard; the two ranch cats we’d inherited that, according to the previous owners, had spent their whole lives on the ranch and couldn’t be moved, and the half-acre vegetable garden. Add to this that we had a four hour commute each way from home to retreat, and our retreat quickly became our home. We were challenged, all right. We were also tired. I can’t say our “Fountain of Youth” ran over, but I do know I got in a lot better shape, charging up and downhill from the house to the barn, from the barn to the pond, from the pond another half-mile to the neighbor’s fence, in search of wayward cows. The folks who owned the porperty before us, a sweet couple in their 70’s who loved the animals and land as much as we did, looked fit but weary. My predecessor swore that her doctor said she had the heart of one much younger, due to altitude (2500-3000 feet) and exercise (see above). She seemed youthful and happy. But then, she was leaving. Mary Lynn writes about her life on the ranch with humor and pluck, but she also writes about tons of stuff that’s so foreign to this Georgia gal that I was simply fascinated, page after page. I learned quite a bit about that area of our country, and quite a bit more about cows. Which may not sound exactly riveting, but honestly, I couldn’t put her memoir down. Maybe because I sat there thinking, Hmmm. I’m about the same age as Mary Lynn was when she started her adventure on the ranch. And mowing the lawn is kind of an adventure for me. And that pretty much sums it up, says Mary Lynn. But if you ask me, there’s much more. So you’ll want to check out her memoir, Accidental Cowgirl, here. 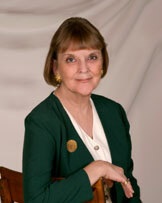 Or snoop around where Mary Lynn Archibald blogs here or where she talks business here. Or you know what? (Dril-l-l-l-l! Sheesh-I can’t think!) Read her book for an inside view of ranching, cows, and wine. I’m giving it away to one lucky commenter. So leave a thought or two, and your email, if I don’t have it. I’ll draw a name on Friday (when the gutter guys are here , banging away). This book sounds great, Cathy. There are a lot of cows in the books I've been reading lately (westerns…L'Amour). Good luck with the roofing. It will be over soon. I am refinishing my kitchen cabints:http://www.facebook.com/home.php?#!/album.php?aid=11641&id=100000757072851Doozy of a project. It IS a great read, y'all!Have to say that the roof repair is not exactly conducive to brilliant writing, but I kinda feel bad for those roof guys. Sheesh-it's gotta be 100 degrees up there!Thanks for stopping by and good luck on the drawing! Hi Lynn,We were both luck to grow up in small towns. There's nothing like it. My kids didn't get to have that experience, but they turned out okay.You sound pretty busy yourself. Finding time to write is always a challenge! Hi Gayle,Thanks for stopping by, and thanks for your interest in the book.I have a box of autographed copies at my feet as we speak, so if you like it, please tell your friends! Hi Tami,I've read L'Amour, too. Long before I dealt with cows, though.If you like cowboys and cows, I recommend (besides my book, of course, which is a little different—we had no horses) THE LOG OF A COWBOY, by Andy Adams. If you can find it. Just don't try to do a roofing job yourself, Cathy.It's always 100° on the roof. Trust me.We did a little roofing job at Twin Peaks Ranch, on a nice toasty metal roof. I think I still have the scars. Well, hey Mary Lynn! Glad you could drop in, too!Not to worry…my getting-up-on-roof days are over. Come to think of it, I don't believe they ever got off the ground.Um, sorry. Can I blame that awful pun on the banging outside?Hey, did I mention that Accidental Cowgirl is Mary Lynn's SECOND memoir? Girl has lived some interesting times! Yep. Working on my third, which deals, in part, with my San Francisco days as a switchboard operator, model, chorus girl and Miss San Francisco runner-up. I did everything but jump out of a cake, although I was asked to once. (I graciously declined. )By the way, Cathy, I just finished reading your article in Deep South, called, "Being Polite." It was hilarious! I only wish my mother was still alive (she was from Kentucky), so I could share it with her. So true, and I'm afraid I inherited her genes. That's gotten me into trouble more than once. This sounds like a fun book, perfect for a girl like me from California's dairy country. I didn't have to deal with the cows myself, though their smell was potent enough! I'm with you—mowing the lawn is my big adventure. The idea of working a ranch seems so romantic, until, I suppose, you step in a pile of something that reminds you it isn't! Sounds like a wonderful read. I'm wondering what became of the cattle? They weren't–gulp!–sold off??!! But gosh, if you didn't sell them, what would you do?? Guess I'll have to read the book to find out. Beth, I have smelled my fair share of cows…not up there with my favorite things. :-)And I suppose you'll just have to read more to see if an amazing writing spider showed up for Mary Lynn's cows, Lisa. Hint: When pigs fly.Thanks for the drop-in, y'all. Good luck! Hey Beth,I'm a California native as well. not too many of us around, as you may have noticed. Seems like everybody I meet is from somewhere else, but they sure know where to come to lead the good life. Yes, Lisa. The fate of the palace must remain shrouded in mystery until you read the book.Hope you do, and especially I hope you enjoy it. Oops! the word "palace" above should have been "cows." Sometimes my voice recognition software plays very funny tricks on me.On second thought, maybe palace doesn't sound so bad it all, though it hardly describes our ranch. Good luck, Becky! What's it called? I absolutely want to thank Mary Lynn for being so responsive here at the Hall of Fame!Margo, I'm not sure she'll stop back by-but I know she's on a blog tour, answering questions all over the place. So, if you or any of y'all want to know more, please check the WOW! Women-on-writing website to see where Mary Lynn's popping in with her cowgirl wit and wisdom.I'll draw a winner on Friday, so y'all skedaddle back here then. Meanwhile, you can continue to comment here for a chance to win! Stopping back by. For a tip or two, see: "Finding Humor in Life," my blog post on August 9th, on Meryl Evans' blog: . Happy reading! Oh, thank you Mary Lynn for asking the name of my memoir. It's called "That Crowbar Changed Everything!" Sounds like my kind of book. Great review. Congratulation of being the BON this week. Visiting from BON! This does sound like a great book! I'd love to be put in the drawing for it! Thank you. Becky: Fabulous title. Good luck!Lizzie: What is a BON? (Maybe I just read this too early).Jenny: Sorry you missed the drawing, but you can always find an autographed copy on my website: http://accidentalcowgirl.comHappy reading, all. BTW Cathy,You have a GREAT website, and lovely bloggers!Thanks! Thanks so much, Mary Lynn! They're a pretty terrific bunch-but you're pretty terrific yourself!P.S. BON= Blogger of Note. I won this award on Friday, so extended my book giveaway a few days so they could see what all the Accidental Cowgirl fuss was about-and one of the visitors won!